In one of my first posts, “Finding THE Backpack”, I wrote about the struggles of finding a backpack that will suit your body type & size. I recently received a few emails from women needing further details and advice, mostly on the hip belt issue. Christy, a reader from California, was one of them. After her backpack shopping experience, she was kind enough to provide me with a few different models that she found fitted her well and accepted that I share this info with you! Christy mentioned to me she is a US size 22 or 2X/3X and is 6 feet tall. Christy said her experience at REI, a well known US chain of over 100 stores specialized in outdoor gear, was great and that she found 4 models that fit her hips and body size… thanks to a helpful store associate. Note that each backpack offers different “sizes” (from X-Small to Large, depending on the brand), to better suit your hips and torso length. The capacity might differ slightly (± 2 liters), depending if you opt for the smaller or larger version of each bag. 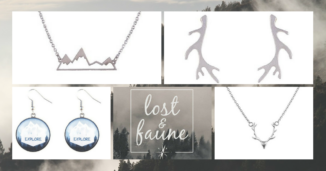 If you were lucky enough to find other bag that accommodates you, as a plus-size traveler, feel free to share it with us in the comments below or via CONTACT ME ! A suggestion I have to make is go into your nearest outdoor store and get fitted. I’d recommend Osprey brands because if the hip belt is too small (as it will be for most of us plus size backpackers,) the store will order another hip belt for free to replace it, due to the Osprey guarantee. I bought an Osprey Ariel at REI and they were able to replace the hip belt for a larger one! 🙂 Otherwise, I’d recommend eBags Mother Lode Weekender (the backpack I ultimately brought along with me) or the Tortuga, which I’m eager to try and buy! Indeed, fitting is a crucial step, you are right. What bag did you end up buying? First of all, I wanted to mention (in case any readers don’t know) that an important thing I found out about backpacks is that the size is actually based on the length of your torso, not the size of your waist! So although I wear a 3x shirt, I wear a Medium backpack (boo yah!) 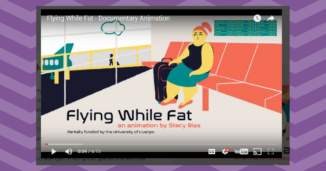 You can find youtube videos that will show you exactly how to have a friend measure your torso height. I am shopping for a backpack right now. I am 5’7″ and weigh around 330 lbs. So I wear about a size 28 pants. 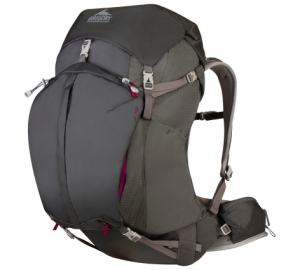 I have read a lot of good reviews about the Osprey Aether, which is the men’s version of the Osprey Ariel. (One major selling point for the Osprey bags is they have an awesome *forever* warranty. Even if you buy the pack used, and even if it is 50 years old, they will repair the pack for free. If they cannot repair it, they will send you the money for a replacement.) Everyone is saying this is the most comfortable pack they’ve ever owned yadda yadda yadda. (Sounds good to me!) The salesman suggested the Ariel instead because it is made specifically for women. The basic differences is that the hip belt has more cushion and the shoulder straps are narrower and angled not to squish our chest. The store sold the older version of the pack as well–on sale for 40% off, which is ~$100 cheaper!!! (The new version was made in 2012.) 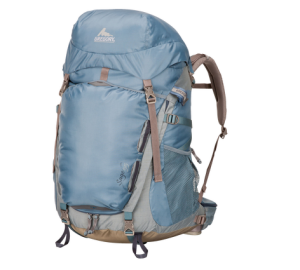 The DOWNSIDES to the older pack are mainly that the hydration pack is inside the bag and harder to get to…and the new style (padding is more comfortable) hip belts will not fit into the older bags. He said they are “discontinued” so if I need a new hip belt down the line, it may be hard to find one. I know there are some other upgrades as well, such as pocket sizes, etc. Ok that’s all I can offer at this point. Sorry I wrote so much, but I know I always appreciate information overload when I’m shopping for an expensive/important item!!! Which pack did you end up buying? I’m so glad I found this site! I was at REI this morning trying on backpacks and the guy kept trying to push me toward a $299 Gregory. First, no way in hell am I spending that much on a pack. $200 should suffice according to everything I’ve read and second, the shoulder straps were supremely uncomfortable. This article gives me some specific models to check into. Thanks! Keep us posted on which model you get and how it works out for you, Sara! I bought a Deuter 45+10 last year. 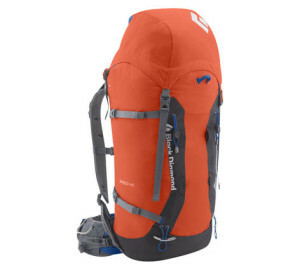 ( still only planning on travelling) It’s a lightweight pack but with large capacity. I’m hoping to do a year long trip with it so it’s got to carry four seasons. It’s the only backpacking item I bought brand new. Everything else is thrift store purchases. Thanks for the great reads, lots of info here! Great site and resources. 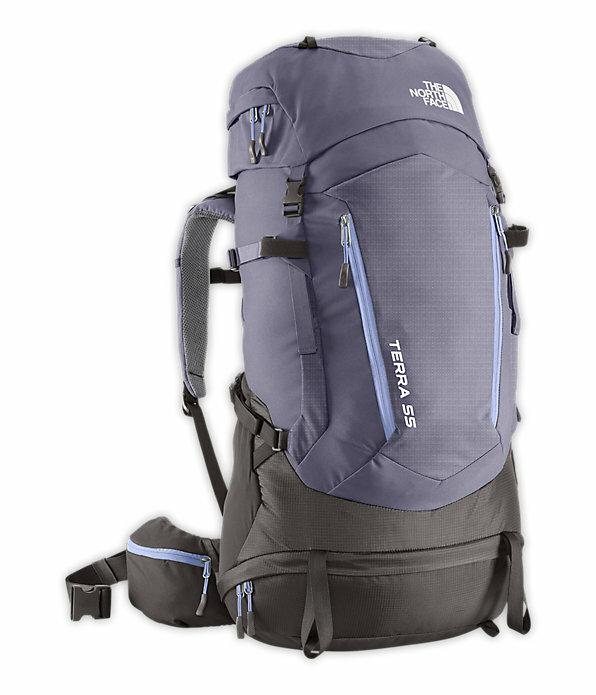 I just returned from my first quick trip carrying only my North Face Borealis pack. My circumstances only allow for 1-3 day trips so I can get it all in my daypack. I had big problems with the shoulder straps digging into my arms. Between my chest and upper arms. I am still able and prefer to use a day pack with a hip strap. Any ideas on day packs with more comfortable straps? Maybe the smaller models featured in THIS POST could do it…? would love to find a list of “city style” backbacks (things we can feel good or stylish wearing around city touring… do you think you might do a plus size post about that (please)?